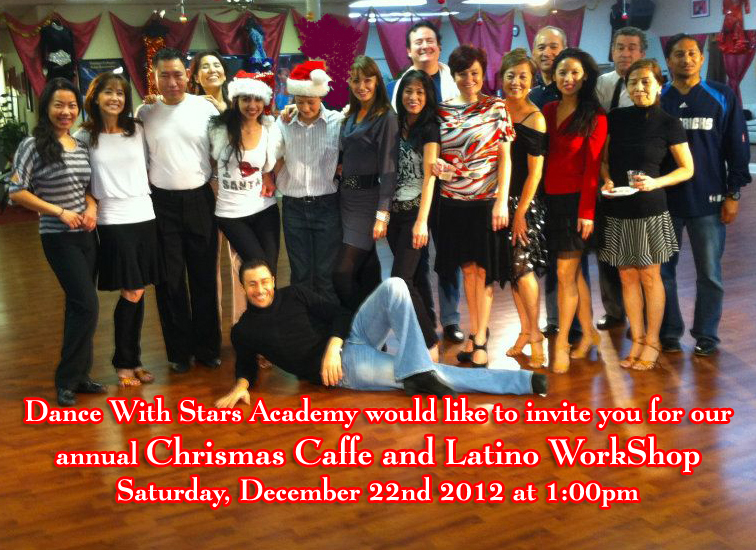 DWS Annual Christmas Caffe Latino Workshop on December 22 2012! Please join us for our Annual Christmas Caffe Latino Workshop on December 22 2012 at 1pm. Lots of dancing, vino, champagne, christmas gift exchange and more are waiting for you!!!! Previous PostPrevious Dance With Stars Academy 2013 Calendar is now on Sale!